So what's the best way to take from Cairns to Cooktown? There are two roads - the coastal, and the inland road. 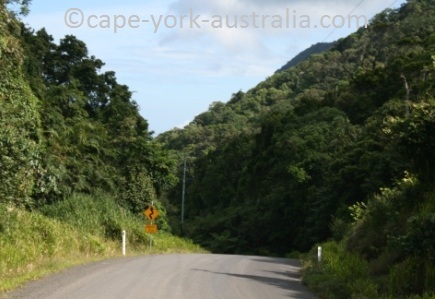 The coastal road is green and tropical, goes through some touristy and quite busy places like Daintree and Cape Tribulation, and is all fine until there. After Cape Tribulation it is only partly sealed, steep in places, and you need high clearance to drive through Bloomfield River in case the waters are high. If it wasn't for that, the coastal road would be better, it is less remote and even about 50km shorter than the inland way. 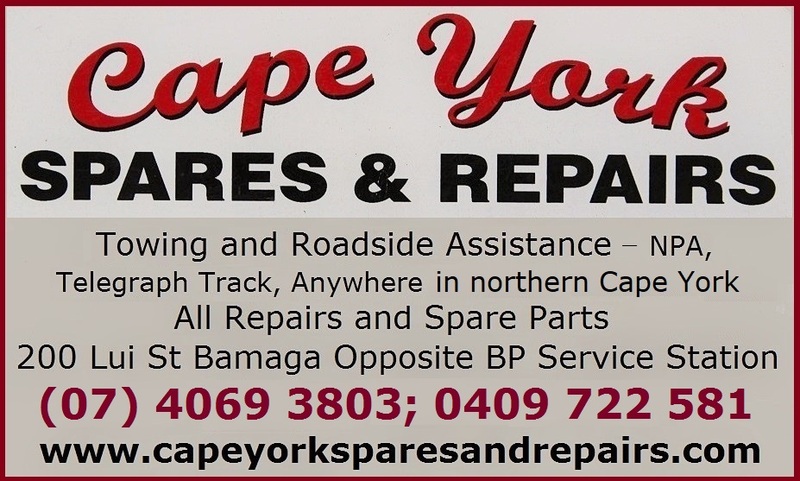 But as it is, the inland road, although longer, and with longer distances between the few roadhouses and small outback towns, is after all sealed all the way, and the road is good for any two wheel drive. So in that sense the inland road really is better. It goes inland from Cairns over Kuranda range and continues north after Mareeba. Cairns is a lovely city, and if you are not coming back to this part of Australia, I really recommend to spend a few days in Cairns. It's tropical, colourful and relaxed, and at the very least you should use it as a base for a trip to the Great Barrier Reef, and try some local seafood restaurants. 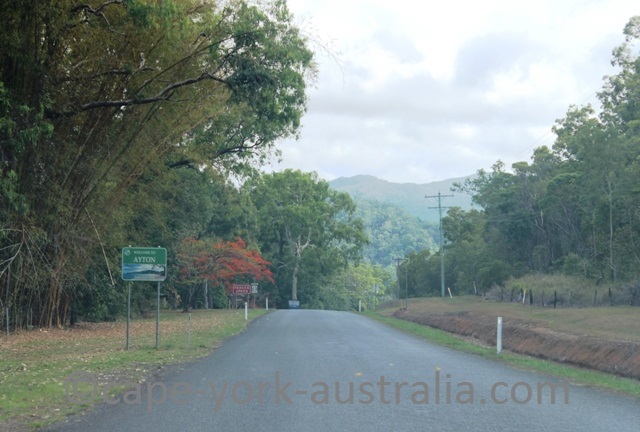 To get inland from Cairns, you cross the Great Dividing Range on a road through rainforests that winds up to the mountains and then back down in the other end. Up in the middle of it is the Rainforestation Wildlife Park, and the lovely small rainforest village Kuranda, which is worth a stop. 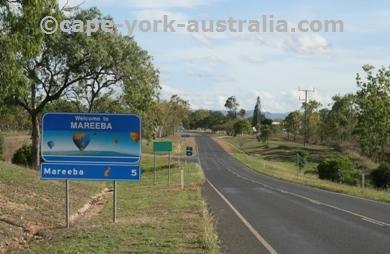 Not long after Kuranda the mountain range and the rainforest end, and you drive past the small township of Speewah towards Mareeba - the centre of the surrounding mango, coffee and dairy farms - all open for visitors. The free and excellent Mareeba museum is also worth a stop. 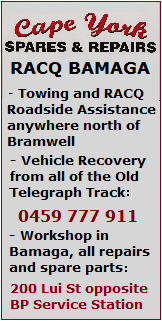 After that you are off the Kennedy Highway and driving the Mulligan Highway to Cooktown. 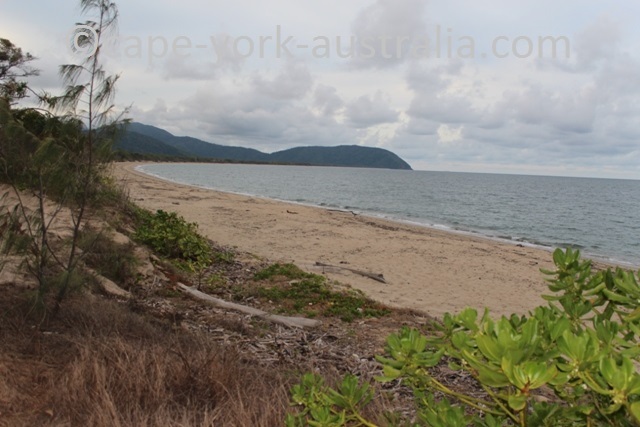 First you pass by the Cairns northern beaches and then the beautiful coastal road between Wangetti and Craiglie, southern Port Douglas. Then you have some sugar cane fields around Mossman, and later a few beaches. 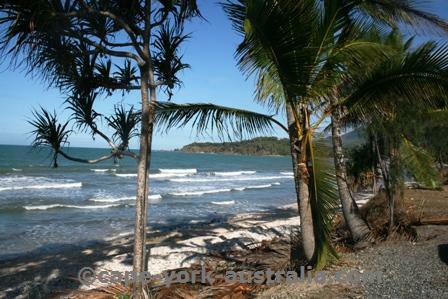 And then you enter the Daintree rainforests, Daintree Village and Cape Tribulation. From Cape Tribulation to Bloomfield is the so-called 'hardest' bit, although not as hard as it's been made to sound. There are steep bits, there are creek crossings, and yes it's the first bit you have unsealed. 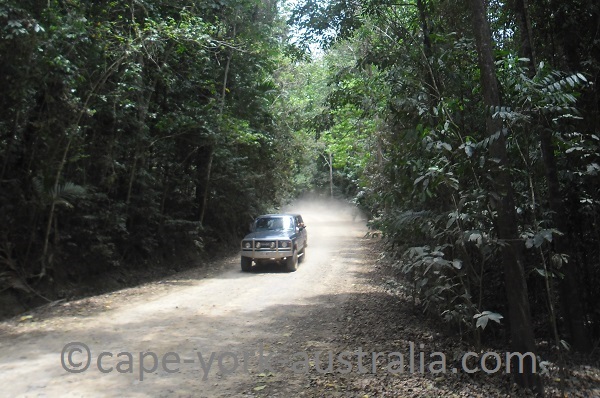 But it's still a road, not a four wheel drive track like the neighbouring CREB Track that starts in Daintree Village. After Wujal Wujal and Bloomfield, the road gets better and is now (2014) almost completely sealed. 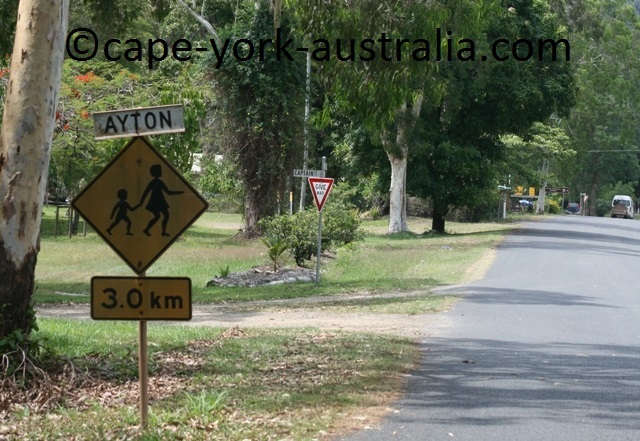 You first drive through the small community Ayton with some beaches, bays and the mouth of Bloomfield River. 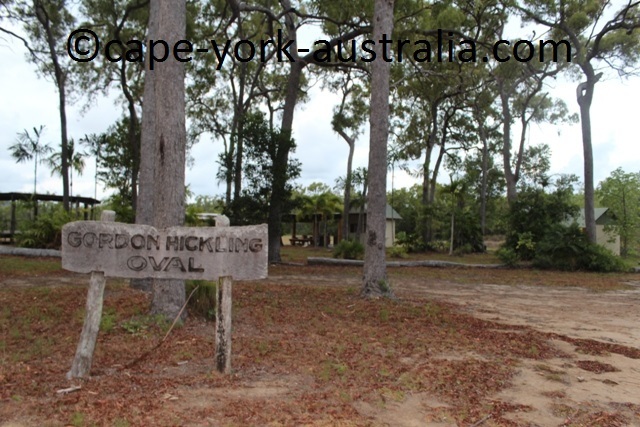 Then you drive through Cedar Bay National Park, and later the small communities Rossville and Helenvale. 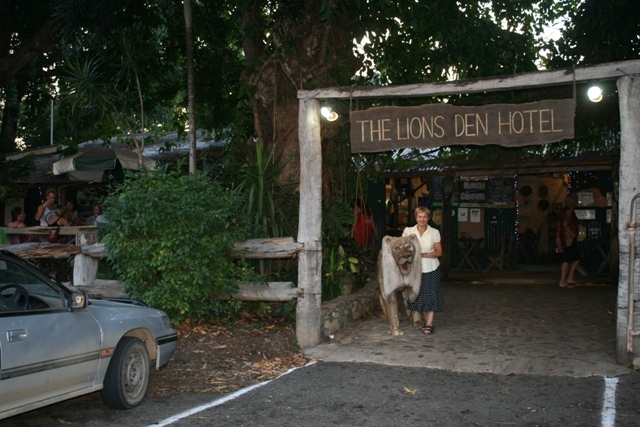 Helenvale has the famous pub Lions Den Hotel, and also the Mungumby Lodge. 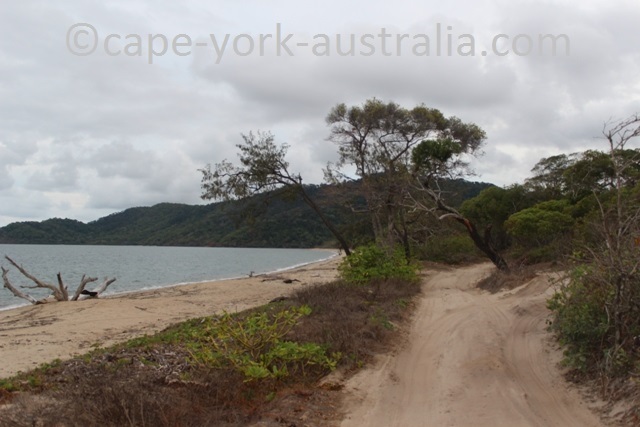 After that you come out to Mulligan Highway south of Cooktown, and drive past the Black Mountain National Park, then the turnoffs to Archer Point and Trevethan Falls, and then Annan River and national park before you come to Cooktown. 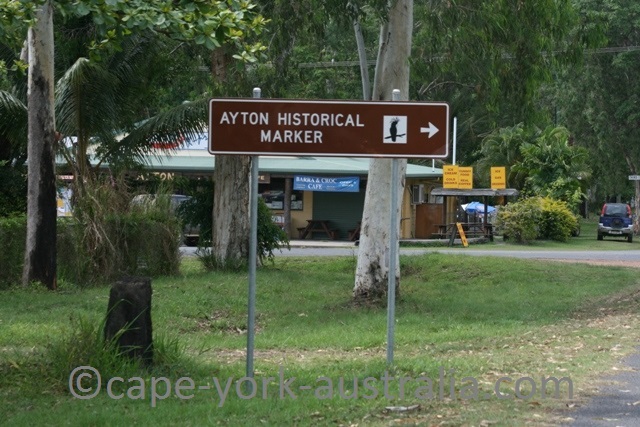 Just north of Bloomfield is the small town of Ayton - named after the town in England where Captain James Cook grew up. Today there is not a lot, except a few historical markers and signs, but once upon a time there was more. 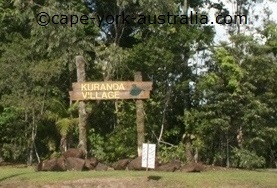 It was all Kuku Yalanji country, more exactly the Yalanji, the Jalunji and the Kuku Nyungkul subgroups. 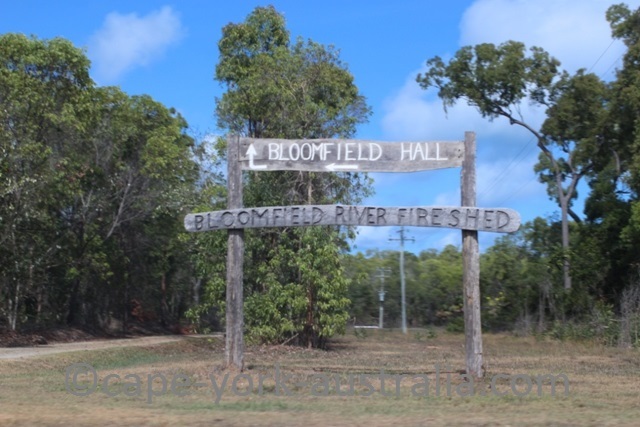 In 1819, the river was named after a British Lieutenant, Bloomfield. Then there was some history of trepangers and blackbirding.. In 1882, a south Queensland sugar cane farmer Fredrich George Bauer bought some land in the area of Weary Bay, and started a large sugar cane farm - Vilele. After hundreds of workres building a mill, a railway and all the rest needed for the Bloomfield Sugar Co to operate, Ayton became and lasted as a thriving town for 15 years before it was understood that the sugar was not bringing in enough for its operation. In the late 1890s, the sugar mill was sold, and moved to Bundaberg, and other agriculture was practiced, including tobacco, coffee, tea and tropical fruits. There was also a lot of red cedar growing in the area, so during the days of the red gold rush lots of timber was moved down to Townsville to build Charters Towers. 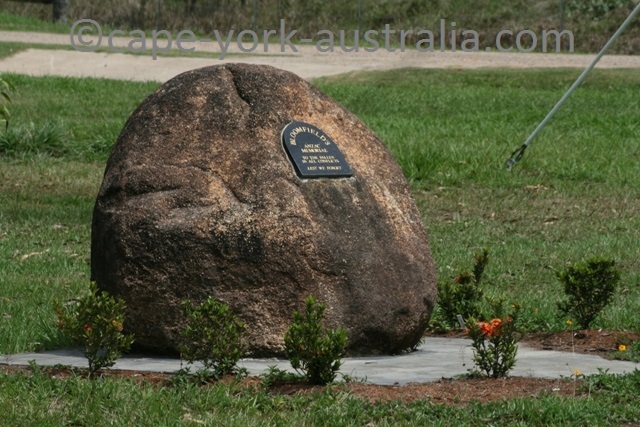 Later, the sons of Fredrich George Bauer established the Bloomfield Mission, which since 1964 is the Wujal Wujal Aboriginal community.